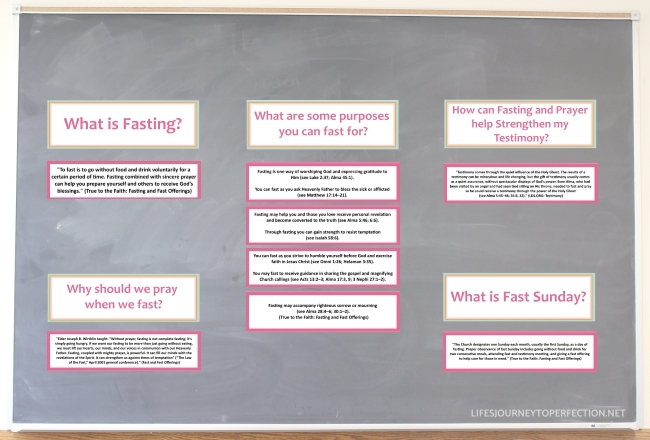 Life's Journey To Perfection: 2017 LDS Sharing Time Ideas for July Week 1: Fasting and prayer can strengthen my testimony. 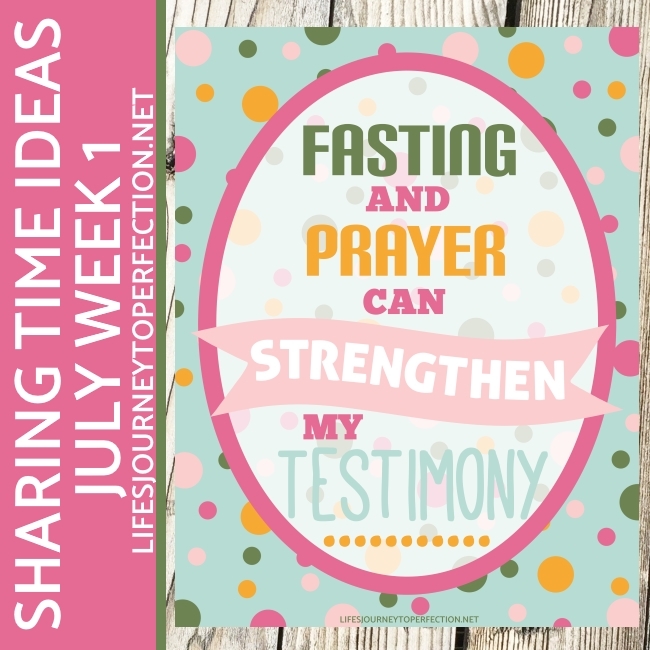 2017 LDS Sharing Time Ideas for July Week 1: Fasting and prayer can strengthen my testimony. July 2017 Scripture: “Wherefore, let us be faithful in keeping the commandments of the Lord” (1 Nephi 3:16). 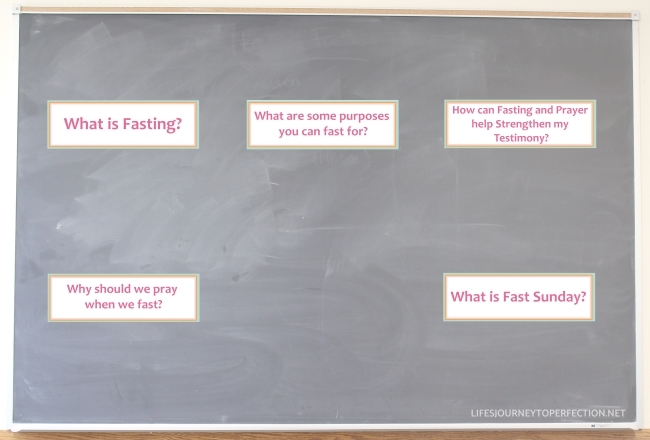 July Week 1 Topic: Fasting and prayer can strengthen my testimony. Prayerfully study and think about what the specific needs of your primary are and how you can teach them this doctrine. The most important thing is to love those you teach and to teach them by the Spirit!! Focus on building their testimonies and helping them come unto Christ! 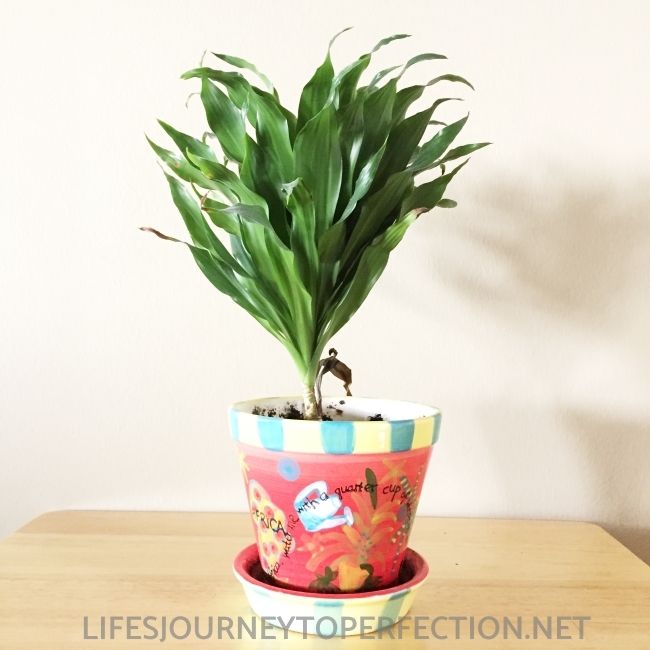 Show the primary children a plant (either an actual plant or a picture of one). Ask the primary children what the plant needs to grow and be strong? Answer: It needs water and Sunlight, Air, and good soil. It needs constant care. Explain that like this plant our testimonies also need constant care, to help them grow and to strengthen them. Show the primary the week's theme poster and invite them to repeat, "Fasting and prayer can strengthen my testimony." Explain to the primary children that one way we can nurture, grow and strengthen our testimonies is through fasting and prayer. Explain to the primary children that we are going to do a little activity to help them learn a little be more about fasting and prayer. 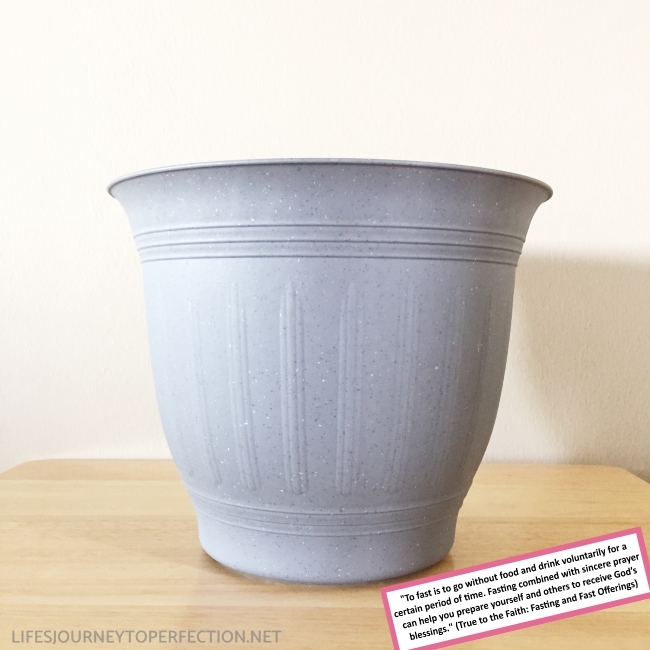 In a flower pot place the answers to the questions (see printable below). Invite a primary child to come up and choose a one of the papers. Read it and invite the primary children to figure out which question the answer goes to. Discuss the question and answer. Continue with each of the answers/questions. To close, share your testimony of how fasting and prayer can strengthen our testimonies. 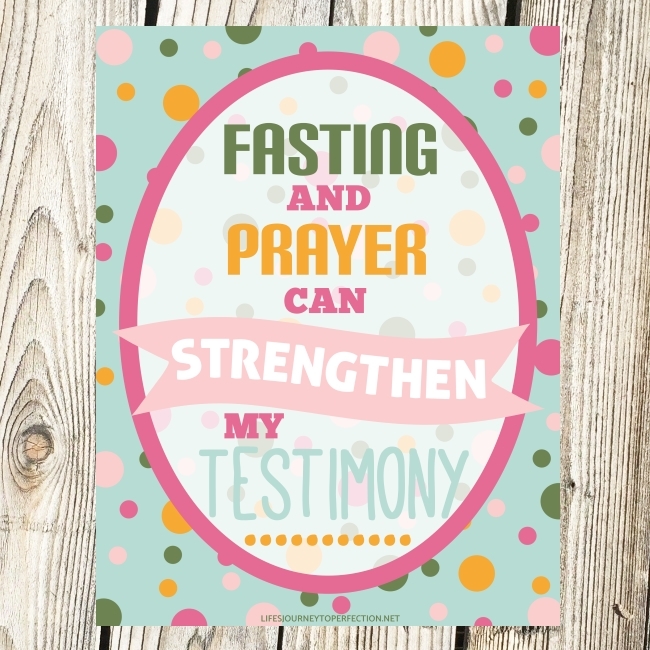 How can Fasting and Prayer help Strengthen my Testimony? What are some purposes you can fast for? Fasting is one way of worshiping God and expressing gratitude to Him (see Luke 2:37; Alma 45:1). You can fast as you ask Heavenly Father to bless the sick or afflicted (see Matthew 17:14–21). Fasting may help you and those you love receive personal revelation and become converted to the truth (see Alma 5:46; 6:6). Through fasting you can gain strength to resist temptation (see Isaiah 58:6). You can fast as you strive to humble yourself before God and exercise faith in Jesus Christ (see Omni 1:26; Helaman 3:35). You may fast to receive guidance in sharing the gospel and magnifying Church callings (see Acts 13:2–3; Alma 17:3, 9; 3 Nephi 27:1–2). Fasting may accompany righteous sorrow or mourning (see Alma 28:4–6; 30:1–2). Why should we pray when we fast? YOU ARE A LIFESAVER, as usual!! Thanks so much for your fun, creative ideas. I will be using this tomorrow. Do you have anything for the 2nd week of July. I teach this sunday and can't come up with anything. You are wonderful! Thank you for sharing your talents and making all our lives easy!! !